Solar domestic hot water is a great way to invest money and reduce your environmental impact. 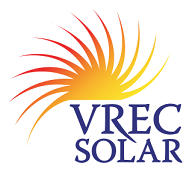 VREC offers services to sell, design, and install solar hot water systems. An elegant, mature technology, a solar hot water system can be expected to last 30 years or more. Systems that are over 25 years old are still used regularly here in Vancouver’s Lower Mainland. The systems are robust and require little maintenance after installation. We have an extensive distribution network of suppliers and can offer different types of systems, including evacuated tubes, glazed flat-panel, and even unglazed panels for special applications. We also sell specialized system components so if you are looking for a specific part (such as heat-exchanger, sensors, solar hot water compatible on-demands water heaters, etc.) please Contact Us. In British Columbia, almost all of the solar hot water systems work on the principle of pre-heating or supplementing your hot water. Instead of cold water lines feeding your hot water tank or on-demand heater, solar pre-heated water from the solar storage tank is fed to the cold inlets. Solar hot water systems are much more efficient at collecting solar energy than photovoltaic (PV) systems (roughly 75% vs roughly 15%). Solar hot water systems can usually provide between 40 -60 % of an average household’s annual hot water demand. Please Contact Us if you would like a quote or have any questions. Are there any incentives, rebates, or grants? LiveSmart BC offers a $500 grant for solar hot water installations. The LiveSmart BC program requires the homeowner to have a pre- and post-retrofit energy evaluation. To qualify for LiveSmart BC funding, retrofits must be completed within 18 months of the pre-retrofit evaluation or before March 31, 2013, whichever comes first. LiveSmart BC funding is provided on a first come, first serve basis. You can review details of the LiveSmart BC program here. Vancouver Renewable Energy offers a carbon offset grant for solar hot water systems we install. The grant amount is based on a $36 per tonnes of GHG reduction over the life of your system. This works out to roughly $450 for a typical residential system using a natural gas water heater and much more for larger systems! Please Contact Us for further details. Many factors affect the complete price of an installed system. To provide an accurate quote we require that a site visit be performed to collect all the necessary information to evaluate the home’s potential and design and price the system. After a site visit we can either provide a free quote or estimate, or we also offer the service of performing an Assessment. The assessment report presents system performance and financial analysis for the potential project. An assessment costs start at $200. The assessment cost would be credited against the cost of installing your system if you choose VREC as your supplier and installer. What types of systems are available? A very common system deployed within Canada, anti-freeze based solar hot water systems work well against freezing. The anti-freeze solution is a mix of food-grade propylene glycol and water. The anti-freeze solution usually requires changing every 3 years but the actual frequency depends on the system design. 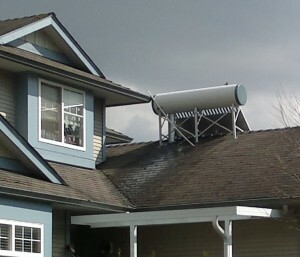 Other common solar hot water system deployed in Canada are the drainback and seasonal systems. 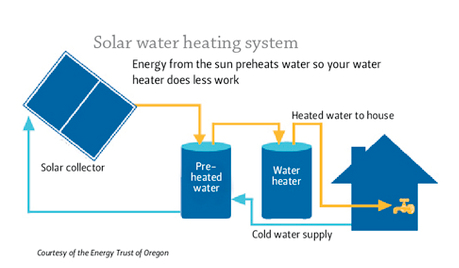 These solar hot water systems empty solar loop when freezing conditions occur. Both types use only water within the solar loop. The drainback system functions throughout the year and automatically empties the solar loop when freezing conditions occur. The typical annual maintenance consists of adding a cup of water to the solar loop to offset evaporative water loss. This type of system requires a very carefully install and is best suited when the solar panels and the mechanical room are vertically aligned. Seasonal systems are typical deployed in off-the-grid sites and are meant to be used only during the off-winter seasons. The system has to be manually emptied before the temperatures of the season reach freezing. Vancouver Renewable Energy can install either anti-freeze or drainback solar domestic hot water systems. How do I determine if a system is worth it financially? We offer a service to provide an assessment report for the various renewable energy technologies. The assessment will present the predicted system performance and provide financial analysis of the project. The assessment costs start at $200 and the amount will be credited against the cost of installing your system if you choose VREC as your supplier and installer. How do I obtain a free quote? If you you know what size system you are interested in we can provide a quote. Please use our Contact Us form or call us at 778.869.8333. What is the best type of solar thermal panel in terms of performance? There are three main types of solar hot water panels: Evacuated tube, glazed flat panel, and unglazed flat panel. Each of these types of panels have different operating conditions where they have better efficiency than the others. Our analysis shows that on average, in Vancouver’s environmental conditions for residential systems, unglazed panels work best for pool heating and glazed for domestic hot water heating. People commonly think that evacuated tubes are more efficient but that it only true when the inlet temperature is sufficiently higher than ambient temperature, or in some conditions when there is little solar energy available. To elucidate the different solar hot water panel efficiencies we will explain the metrics a bit and provide some examples. One should note however that the most important metric is not commonly efficiency but installed cost per energy savings collected. In order to compare two types of collectors it is better to consider the difference between their efficiencies, i.e. Collector A efficiency minus Collector B efficiency. Let us first compare Evacuated Tube and Glazed Flat Panel collectors. 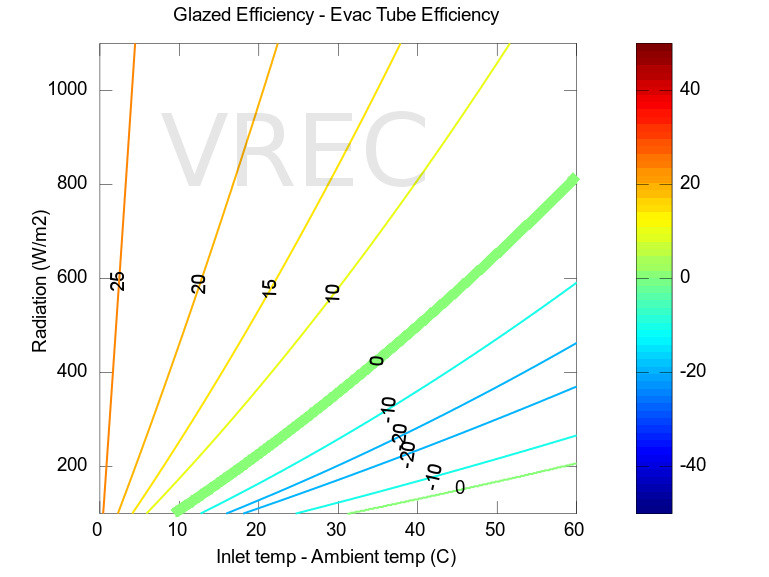 Comparison of efficiencies between glazed flat-panel and evacuated tube collectors. Solid line represents the efficiency cross-over. Positive values indicate percent efficiency that glazed flat-panel is better than evacuated tubes, and negative values vice versa. In full sun conditions we see that glazed flat panel perform more efficiently than evacuated tubes. This is true up until the Inlet-Ambient temperature reaches 70C. In the summer an average ambient temperature is roughly 22C. This would mean the bottom of the solar storage tank would have to be greater 92C for evacuated tubes to perform better than glazed flat-panel collectors; a very unlikely scenario. In the winter an average ambient temperature is roughly 6C. This would mean the bottom of the solar storage tank would have to be greater 76C for evacuated tubes to perform better than glazed flat-panel collectors; again an unlikely scenario. 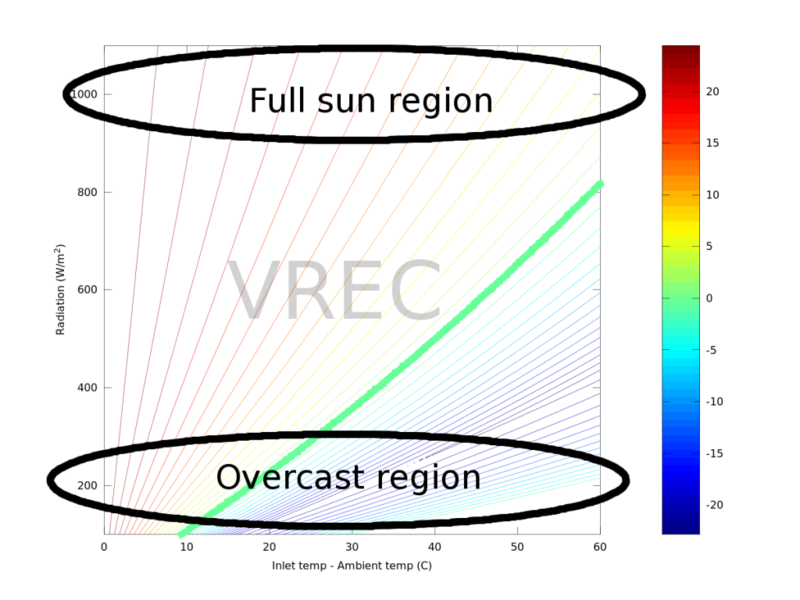 One can clearly see that when the solar energy is highest and most abundant glazed flat-panel collector perform more efficiently than evacuated tubes. Glazed flat-panel and evacuated tube efficiencies in full sun and cloudy conditions. In cloudy conditions we see that glazed flat-panel is more efficient than evacuated tubes up until the Inlet-Ambient Temperature is 20C. Using the same summer average ambient temperatures of 22C would mean the bottom of the solar storage tank would have to be greater 42C for evacuated tubes to perform better than glazed flat-panel collectors. With a winter an average ambient temperature of roughly 6C, the bottom of the solar storage tank would have to be greater 26C for evacuated tubes to perform better than glazed flat-panel collectors. One should also keep in mind that there is typically 1/5th the amount of solar energy available when it’s cloudy and that the winter days are shorter than the summer days. If one compares on a annual basis, flat panel collectors perform better than evacuated tubes for typical residential applications. Let us now compare Glazed vs Unglazed flat-panel collectors. Glazed versus unglazed flat panel efficiencies. The solid line represents the efficiency cross-over. 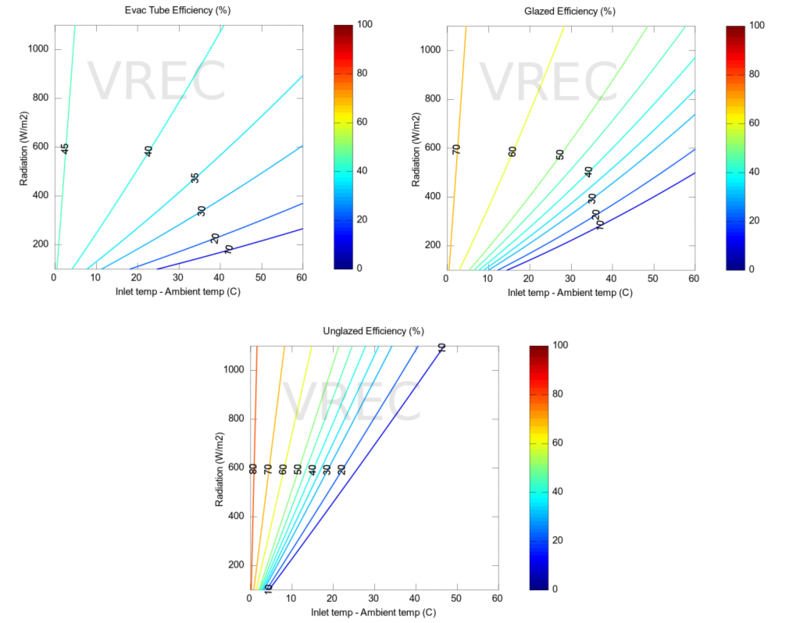 Positive values indicate higher efficiencies for glazed panels and negative values indicate higher efficiencies for unglazed panels. 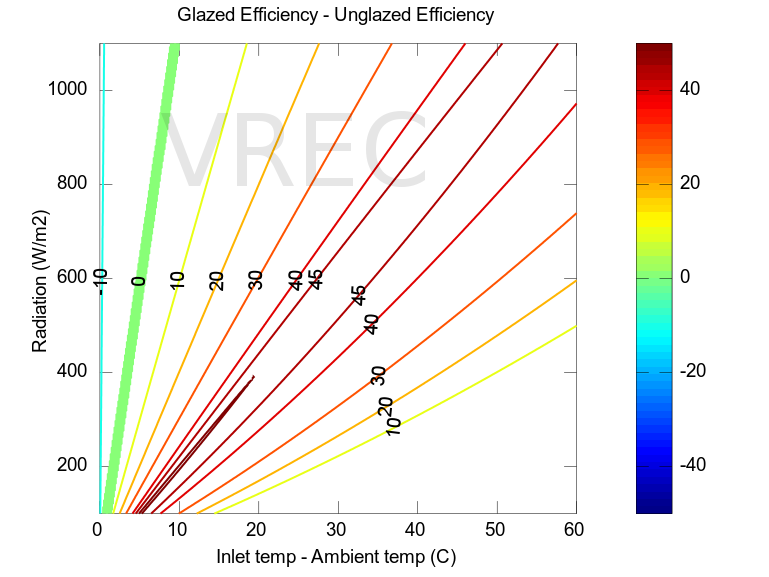 We can clearly see that the glazed flat panel performance better than unglazed once the Inlet-Ambient temperature is greater than roughly 8C. However if we consider heating a swimming pool in the summer the inlet temperature from the pool might be 15-25C and the ambient temperature might also be 20C. In that particular case we see that the unglazed panel would be the most efficient panel. This might also be the case if for large commercial systems with very large water storage tanks. Once the ambient temperature drops to below roughly 8C from the pool temperature the glazed flat panel performs better; common in the off-summer seasons. Evacuated tube versus unglazed flat panel efficiencies. The solid line represents the efficiency cross-over. Positive values indicate higher efficiencies for evacuated tube panels and negative values indicate higher efficiencies for unglazed panels. 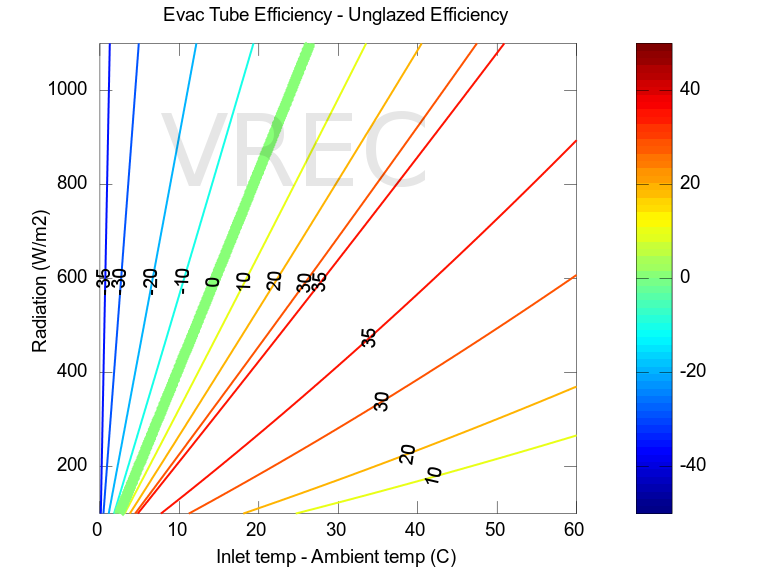 The surprising result shown is that in full sun conditions the “low-tech” unglazed panel performs more efficiently than evacuated tubes until the Inlet-Ambient temperature reaches roughly 25C. So for example, in summer if one considers a ambient temperature of 22C, the temperature of the bottom of the tank would have to reach 47C before evacuated tube panels performed more efficiently in full sun! Why should I install a solar thermal system when gas is so cheap? 2) Increase your immunity to fluctuating energy costs. As energy costs inevitably fluctuate their impacts on your bottom line will be such smaller as you purchase less from utilities. 3) A major factor contributing to low natural gas prices is the non-conventional gas extraction method of hydraulic fracturing (fracking.) This has caused a large increase in the supply of natural gas and hence the lower prices. However the repercussions of fracking are slowly coming to light. In addition to causing earthquakes, and potentially contaminating water tables, fracking significantly contributes to greenhouse gas (GHG) emissions. Although natural gas releases less GHG emissions when burned as compared to coal and diesel, it has the highest GHG contributions if one considers the GHG emissions from extraction to consumption. These results were recently analyzed and published* based on considering a 20-year time frame for GHG equivalency since methane (a major contributor of global climate change and significantly released in fracking) has a 12 year lifetime. 4) Your helping the local economy and promoting green jobs. 5) If your solar thermal system is for a heated pool, you would effectively pay for the system over the next 4-8 years whether you get one or not. You can invest today and enjoy monthly savings and increase home equity, or you can pay the utility company every month. 6) Money saved from the system is effectively non-taxable income, depending on your tax bracket. 7) The planet’s ecosystem (including us) urgently requires humans to use solar technologies. Do you install solar hot water “solar-ready” rough-in? Yes, VREC can provide this solar rough-in installtion service. A growing number of municipalities are requiring solar hot water rough-in lines be installed in order for the building permit to be issued. The exact requirements depend on the jurisdiction but it usually consists of actually installing the solar hot water line-set or installing large diameter conduits so that the lines can be installed more easily at a later date. The reason for this city permit requirement is to make any potential solar hot water installation easier and cheaper in the future, and also bring awareness and facilitate the adoption of solar technology. VREC strongly recommend that the builder seek the guidance of a solar hot water installer regarding any solar rough-in. If installed incorrectly, it is of no use for any potential solar hot water installation. Do you install direct tank-on-roof type of systems? A common type of system used around the world is a direct tank-on-roof solar hot water system. In Canada, this system is typically only rated for CSA-379 seasonal use. It is of paramount importance that the home owner know the limitations of these type of systems and the maintenance they require, otherwise there is a high risk of freeze-failure. VREC genereally avoids installing such direct systems, simply due to their inherent risk for the home owner. I have a tankless water heater, why should I consider solar? Tankless water heater mainly save space not money! Installation costs for tankless systems are much higher than conventional water heaters (e.g. typically 3 to 4 times more than conventional gas water heaters.) Numerous tests by independent third parties have shown only 5% savings versus conventional electric water heaters and 15%-20% savings versus energy efficient conventional gas water heaters over a 24 hour period. It is worthwhile to calculate the payback! Some show between a 21 and 71 year payback to install a tankless heater. It’s a misnomer to call tankless heater “instantaneous,” as how soon you get hot water depends on the length of the pipe runs. While it is true that electric tankless heater may avoid running out of hot water versus an undersized electric tank but that is only a matter of sizing the electric tank correctly. Residential gas tank heat up faster than electric so running out of hot water with gas tank is less common. The addition of solar further adds to the thermal storage, particularly in the “solar hot water season” when most of the hot water needs are covered by solar alone. Solar works with either tank or tankless water heaters and heats the water with only the sun. Reduce how much you pay the utility companies each months and pay yourself instead!